True Believers is a full-length comedic play that tells a tale of star-crossed lovers, aspiring comic book creators, psychotic fanboys, cybernetically enhanced humans, women in refrigerators, real-life superheroes, and girls who dress like Slave Leia as their lives intertwine over a whirlwind weekend at a comic book convention. There are scenes set inside of a Massive Multiplayer Online Roleplaying Game, there are ridiculous cosplay costumes, there's action, there's romance, and of course, there's the Cyborg Head of Stan Lee. It's everything you've ever dreamed of. Scroll down for a script sample or a more in-depth plot synopsis. 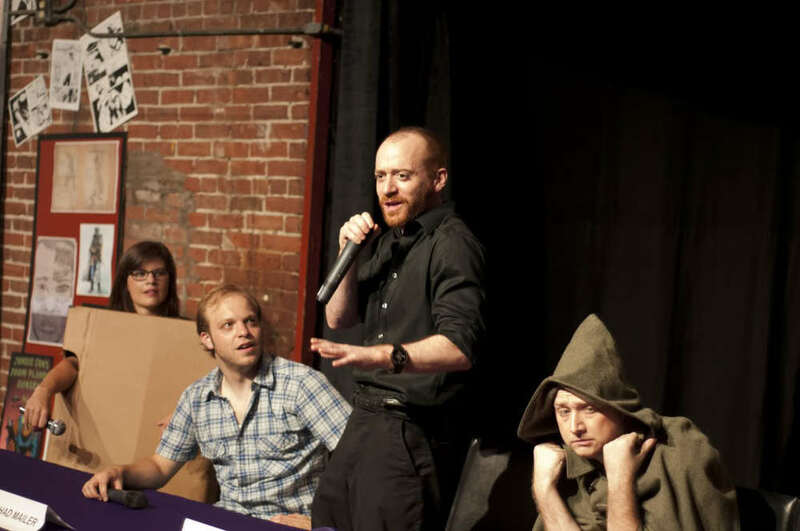 True Believers was the recipient of a playwriting fellowship from the Berkshire Fringe Festival in August of 2011, where it was workshopped as part of the 2011 Early Stages program. It was later picked up for a lengthy development process with Vagabond Theatre Group , beginning with a public staged reading at Trident Bookstore on Newbury Street back in February 2012, and another workshop reading of the first half of the script that was presented as part of ImprovBoston's " GeekWeek " in April. 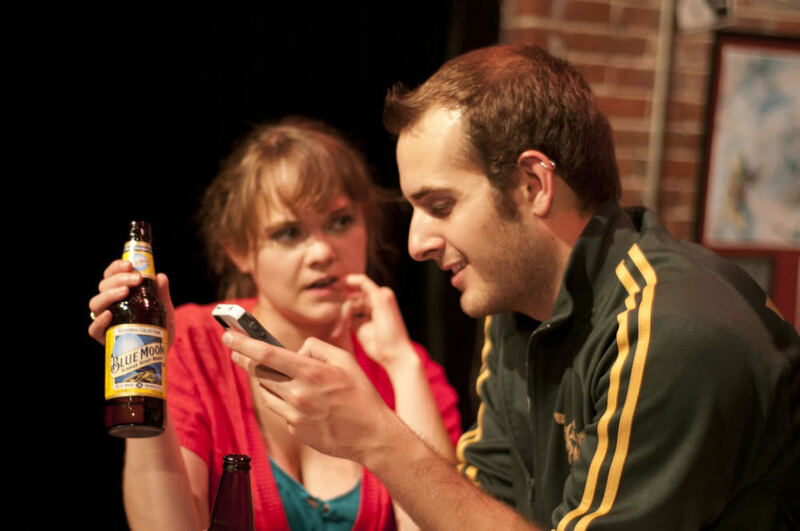 Vagabond later mounted a full (nonprofessional) production to rave reviews at the Factory Theatre in Boston in July of 2012. You can learn more about the production on their blog , or check out some production photos and video previews as well. 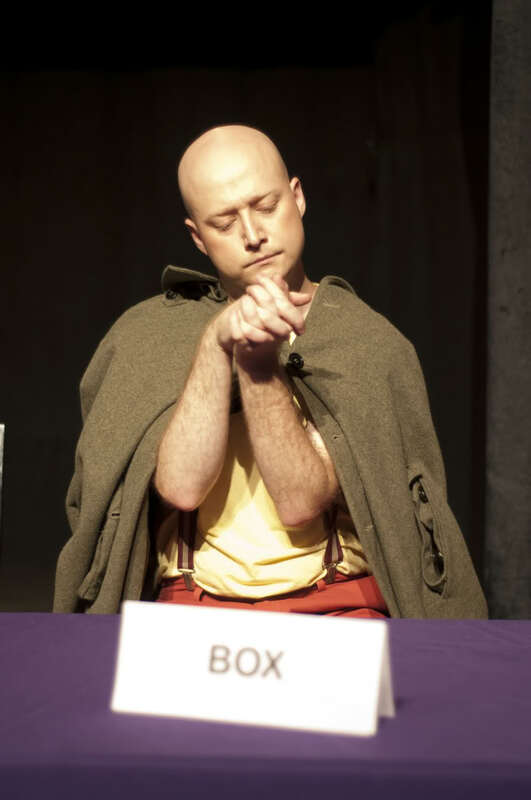 Since then, the play has undergone additional workshops with the Last Frontier Theatre Festival (Valdez, AK; May 2013) and The Hive (New York City; March 2013). It's the weekend of the big annual comic book convention, and Chad Mailer is a young professional comic book writer who hit his career peak five years ago with a series that he never actually finished, and he now wishes to re-ignite his career. Desperate for one last chance to prove himself to the world, Chad reaches out to Ted Thompson, a newly-divorced comic book editor with whom Chad previously worked. Ted has recently begun a new relationship with a young woman named Chloe Long, whom he met playing video games on the internet, and the two have decided to meet in person for the first time at the comic book convention as well. Meanwhile, Chad must contend with the constant heckling of Billy Horowitz, a belligerent comic book fan and self-proclaimed rogue cyborg video blogger, who is determined to destroy Chad's career because he really didn't like that one issue of Wolverine that Chad wrote that one time, and Billy's (incredibly reluctant) best friend / sidekick Calvin Elder, a closeted young comic book artist who longs to become a real-life superhero. Chad also attempts to reconcile his relationship with Kt Watts, his former creative partner -- and possibly more -- whom he has not seen in five years and whose career has now eclipsed his own. But mostly it's about the Cyborg Head of Stan Lee.